Enter the amount you'd like to charge into Payment Amount. 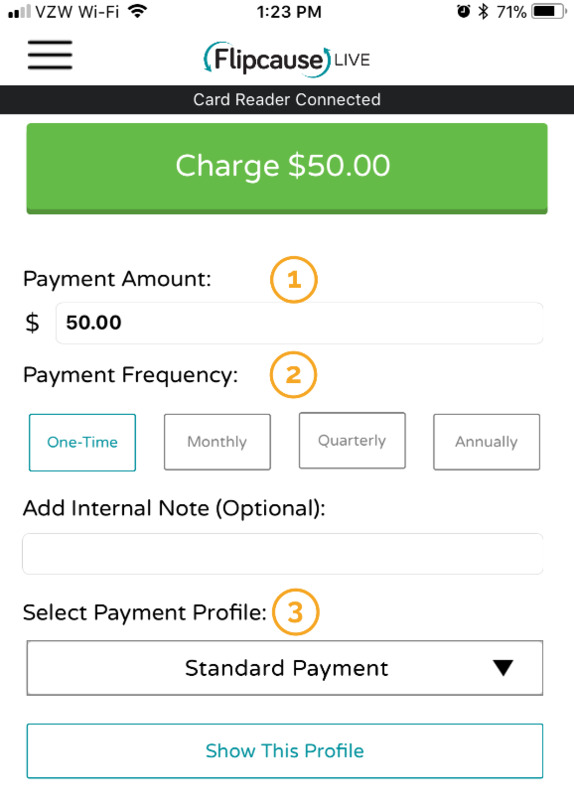 Choose a Payment Frequency from the button options. Tap the green CHARGE button to proceed to the Supporter Information screen. 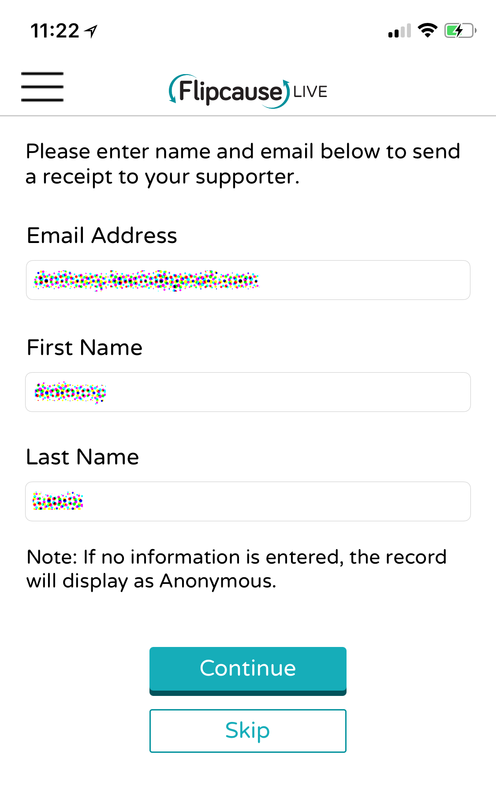 If your supporter would like a receipt for their records, enter their contact information and then tap the CONTINUE button. Select SKIP to proceed directly to the Payment Options screen. If no information is entered, the record will display as Anonymous. 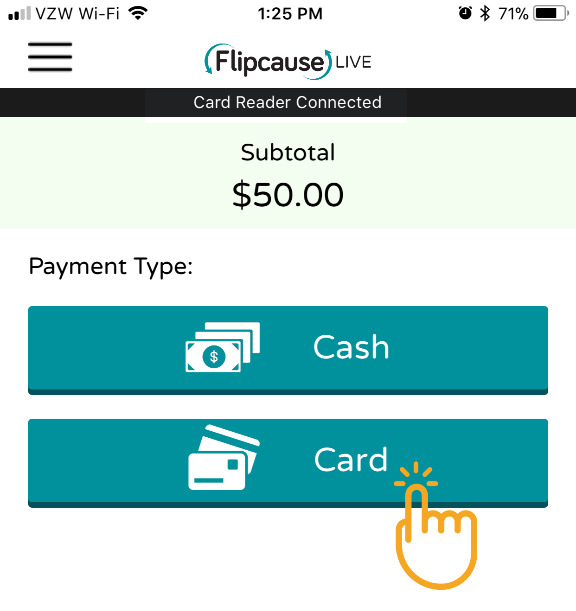 Tap the CARD button under Payment Type to proceed with manually entering the credit card information. 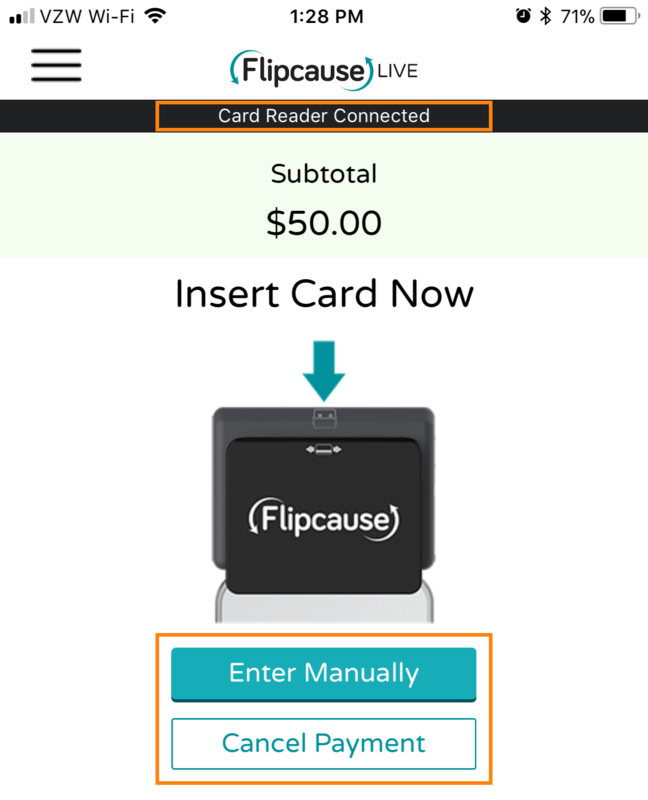 Insert Card is set as the default option. 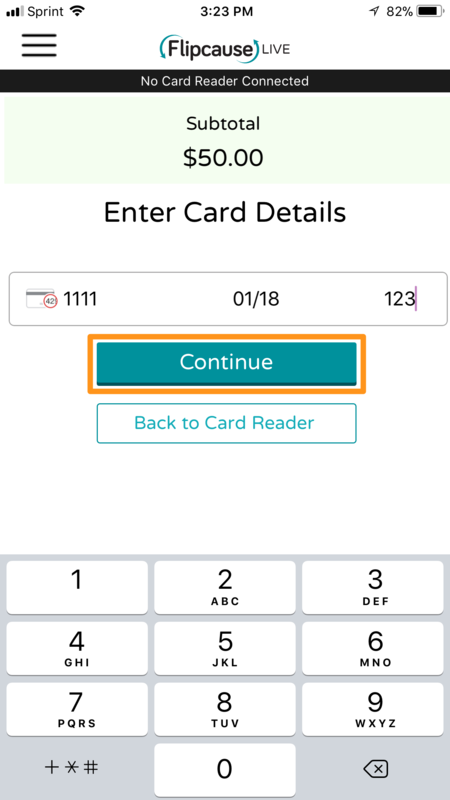 Tap the Enter Manually button to enter the card manually instead. Enter the credit/debit card information: number, expiration date, and the security code. Then tap the Continue button. Once Transaction is validated, you are taken to the Signature Page. 1. 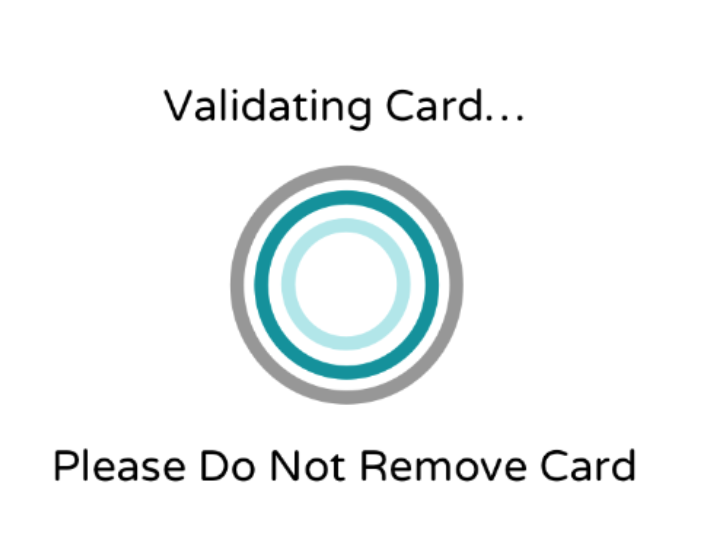 Once the card is validated, you are taken to the Signature Page. The Signature Page displays the total amount to be charged, including the processing fee and any sales taxes you are collecting. 3. After signing, tap the Finish & Pay button. (This is when the card is charged). You're then directed to the Confirmation Page. All done! If you entered contact information for the transaction, you will see confirmation that a receipt was sent to the supporter via email. Tap the BACK TO HOMEPAGE button or the X located in the right-hand corner. 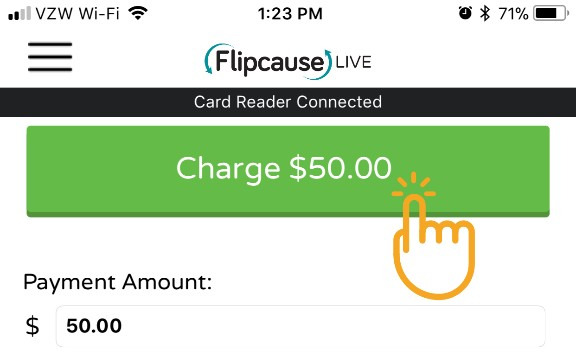 This action will take you back to the Home page where you can begin a new transaction or check-in process.